Everyone loves T. rex! These teeth are 2.75” long, including the base. 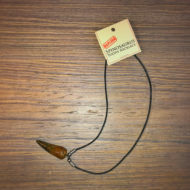 Made of durable, high-quality plastic, these replicas were made to be well-loved and handled frequently. Each one is hand-painted, showing off exquisite detail that looks very realistic. 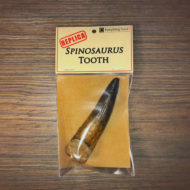 The attached, rock-like base on the bottom of the tooth makes it easy to display. On the back of our packaging is information about T. rex from a biblical, young earth perspective. 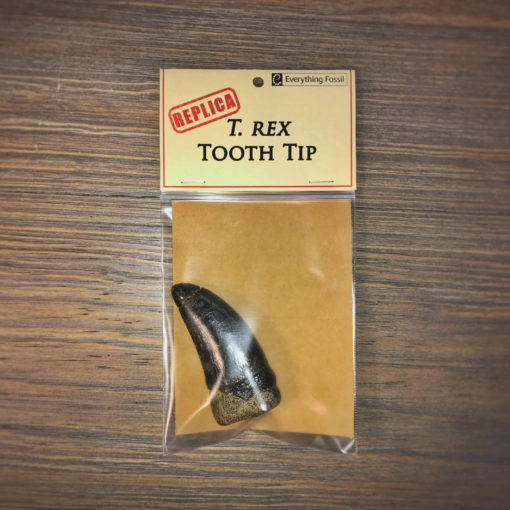 This replica is the shed tip of a T. rex tooth – the whole tooth would have been about 12” long!